In the holiday week between Christmas and New Year, I was able to return to Cincinnati, Ohio to celebrate the end of the year with my family. I visited Cincinnati earlier this year and really enjoyed exploring their foodie offerings. On this return visit, I couldn't wait to continue exploring. On the recommendation of my cousin and sister, we decided to go out for breakfast one morning at Sleepy Bee Cafe, a cute breakfast cafe in the Oakley neighborhood northeast of the city. I so rarely eat breakfast out, so this morning outing was a real treat for me. As I entered the restaurant, I instantly fell in love with the cute decor and bustling atmosphere, and settled in for a good meal. With that incredible approach to food, I liked how the farm-to-table fare wasn't overly pretentious. It was approachable and comfort food-esque, perfect for eating well and enjoying the meal. Gluten-free options are available, but not marked in detail on Sleepy Bee's menu, so I thoroughly studied the gluten-free menu before heading out to eat so I could plan ahead what to order. Sleepy Bee also has a soy-free and vegan menu, which can be found right here. When informing the wait staff of my allergies, they informed me that the kitchen is very aware of cross contamination and would handle my order accordingly to protect it as much as possible. 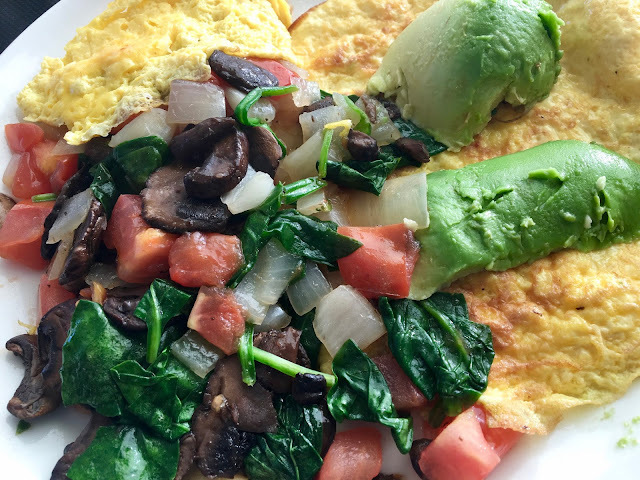 Opting for a protein-packed breakfast, I ordered the avi omelet sans cheese, which came with onion, spinach, tomato, mushroom, and avocado. I liked the fluffiness and doneness of the eggs which were firm without being hard. The interior filling was minimally seasoned, but hearty with it's mix of savory flavors, you don't need anything to distract from the flavors of the veggies. 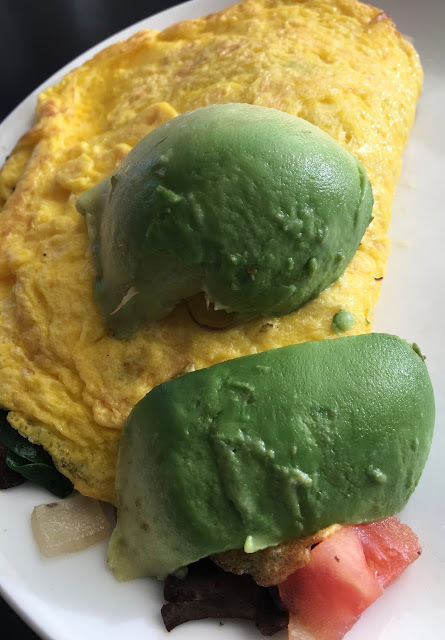 The avocado added a nice creaminess that totally made me forget the absent cheese. The omelet is filling, and is a nice protein booster to start the morning. In lieu of toast (on Udi's gluten-free bread) and choosing an additional side, I asked if I could have two gluten-free pancakes instead. While they are not made on a dedicated griddle, the staff did thoroughly clean and sanitize it before making mine so as to minimize cross contamination. As a result, my pancakes arrived a little after the rest of the meal because they were a bit delayed; I didn't mind at all though. 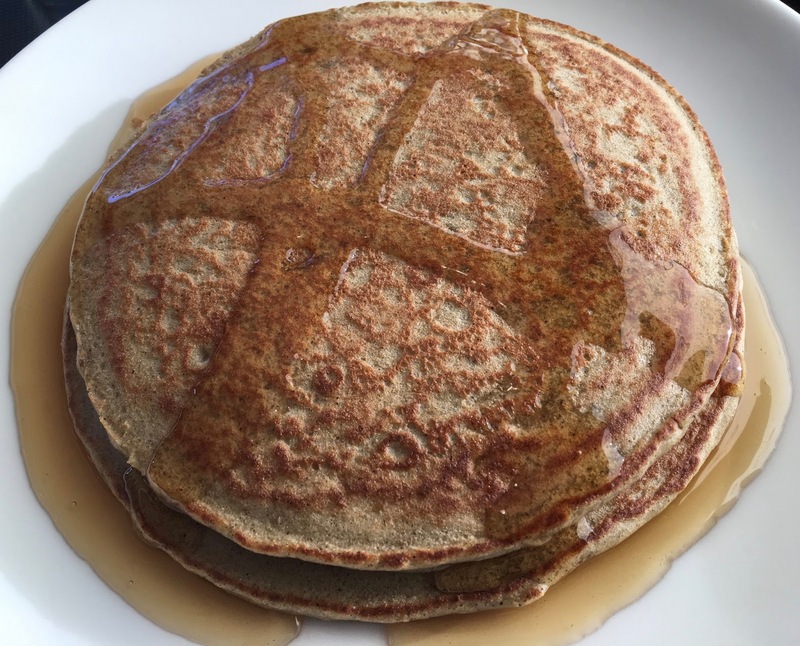 Made with almond milk and eggs as well as an almond-quinoa-buckwheat blend, the pancakes are hefty in size and hearty in taste. They have a nice whole grain flavor and are perfectly textured. Organic, Ohio-made maple syrup drizzled atop them added a maple-y sweetness that rendered them absolutely perfect. 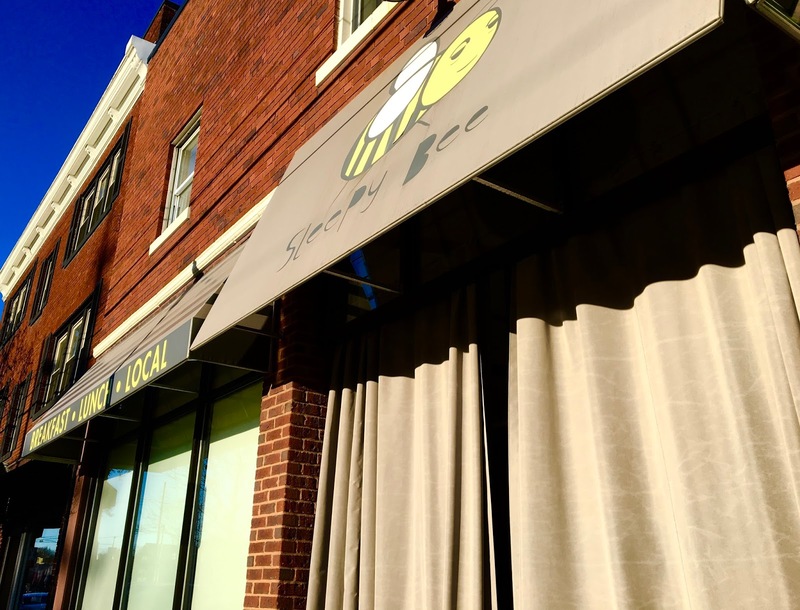 Although I think I fell in love with Sleepy Bee when I first walked in the door, that love was cemented by their allergy-friendly attitude and delicious fare. With both sweet and savory elements, my breakfast was completely satisfying, and such a treat. While I eat out a lot and am always finding quirky, cool places, Sleepy Bee will stick with me awhile, and I will dream of this breakfast from afar when I return to my normal routine of skipping the meal most days.